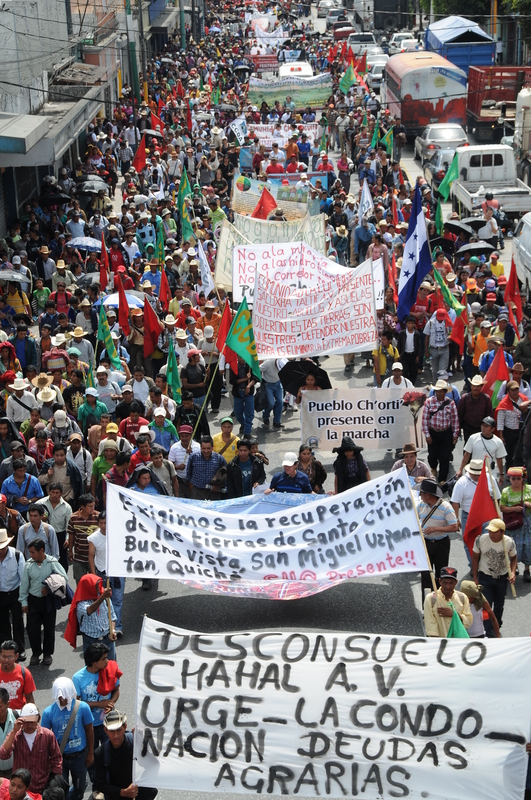 On Tuesday, an estimated 10,000 people marched into Guatemala’s capital city. Many had trekked 120 miles from the town of Coban over nine days to draw attention to the plight of the rural and indigenous majority of the Guatemalan population. Their ranks swelled as they neared their destination and the peasants were joined by high school and university students, artists, musicians, unions, human rights activists, and women’s rights groups. 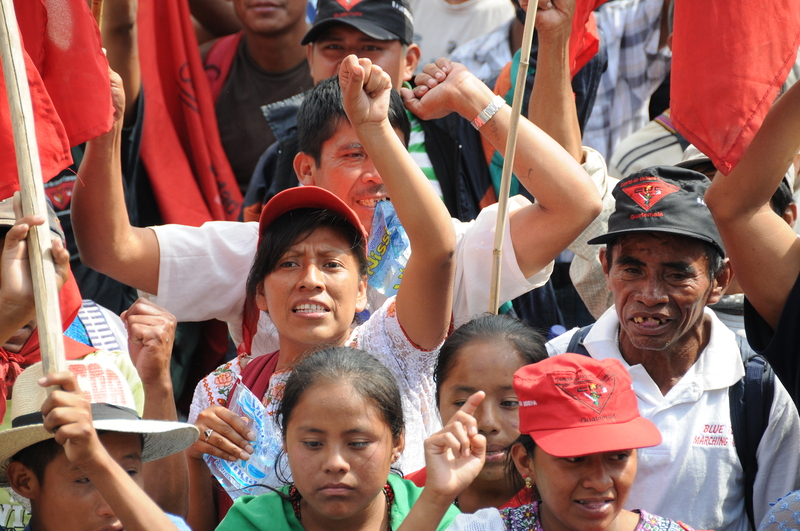 Their demands of the Guatemalan Government focused on threats to land and livelihood faced by rural communities and included an end to evictions and unfounded criminal prosecutions against peasant communities, the forgiveness of agrarian debts to the government, access to land, and an end to mining and other large scale extractive industries in the region. This entry was posted in Life and tagged campesino, campesino resistance, central america, GHRC, Guatemala, indigenous resistance, indigenous rights, Latin America. Bookmark the permalink.